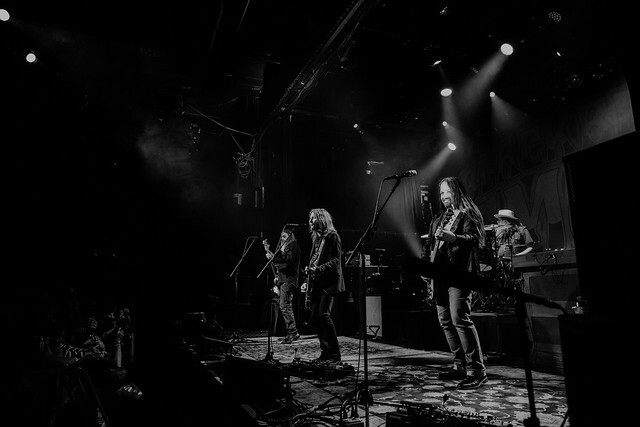 Blackberry Smoke Bring Southern Rock To The Big Apple Reviewed by David Zeck on September 9, 2018 . 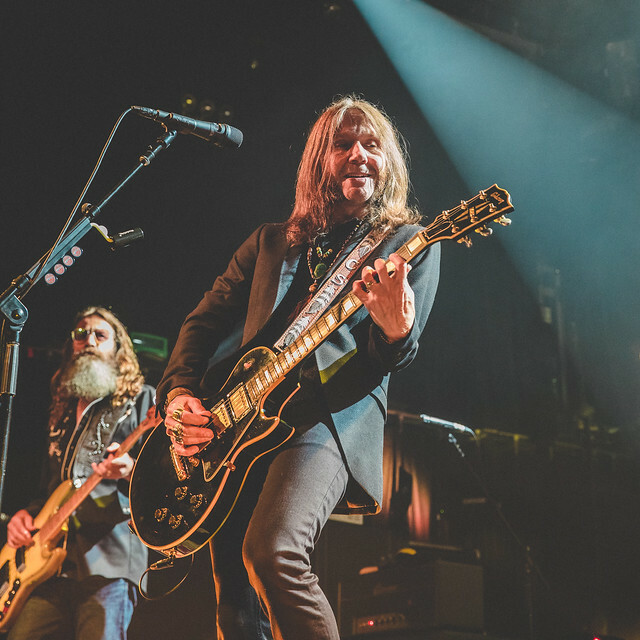 Blackberry Smoke have had quite a year so far, from the release of their latest record Find A Light to appearing on tours dates with Lynyrd Skynyrd. Now, a fall headlining run of their own. 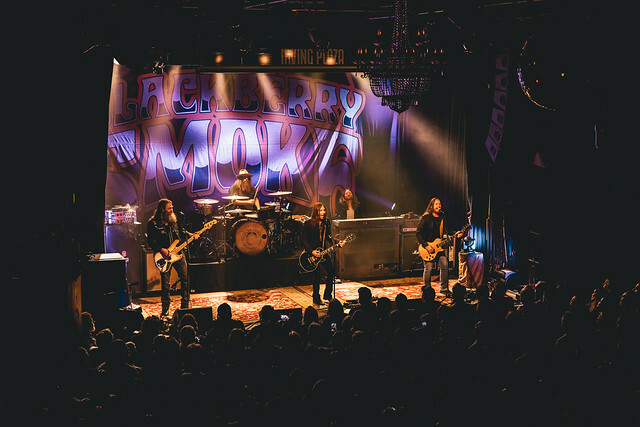 The Atlanta-based Southern rockers brought their blend of gritty classic sound to the streets of New York City, particularly Irving Plaza. One night in the city is a success, but two back-to-back shows in the city that never sleeps is no easy feat. However, Blackberry Smoke have done it. I had the pleasure of catching Blackberry and The Texas Gentlemen for night two in the big apple for a second round of tour shows as part of the bands Find A Light Tour. 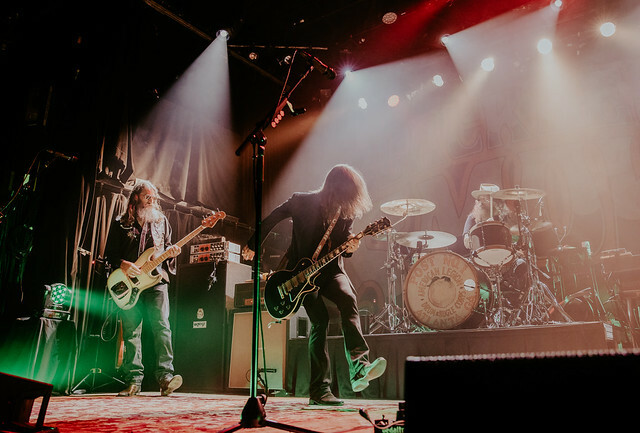 Blackberry Smoke, now with seven albums in their catalogue, have proved to naysayers that an American rock band from Atlanta can make feet stomp all around the world. The band, consisting of vocalist/guitarist Charlie Starr, guitarist/vocals Paul Jackson, bass/vocals Richard Turner, drums Brit Turner, and keyboardist Brandon Still, recently announced a new six song EP with songs off of Find A Light and a cover of Tom Petty’s “You Got Lucky” titled The Southern Ground Sessions. The EP is named after the Zac Brown-owned studio it was recorded in. The album presents the songs in a raw and unplugged light, showing it doesn’t always have to be heavy to be good. The Texas Gentlemen are just that: an American country rock band from Dallas. Their debut album Jelly snuck up on music fans as the band slowly came into their own. Jelly is an experience in and of itself, pulling together inspiration from Blues, Rock, Gospel, Soul, and Folk. It encompasses the essence of a great band, songs that reach down deep in its members and pull from the core, the true heart of its creators. In 2016 the band won “Best Group Award” from the Dallas Observer Music Awards and have found themselves catching the attention of the likes of not only Blackberry Smoke but also now collaborator and iconic troubadour Kris Kristofferson. One listen to these Lonestar gentlemen and you will hear the inspiration of Bob Dylan, Willie Nelson, and more. 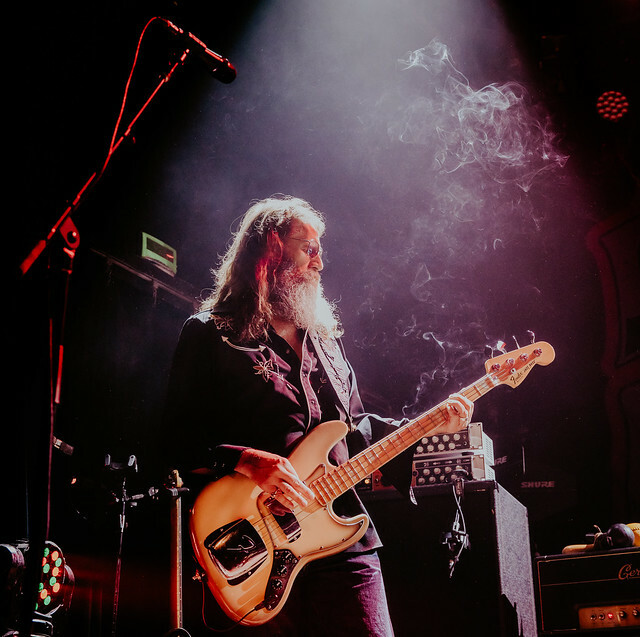 As a noticeable haze of incense took to the air on stage, the venue felt as if it was preparing for a ground shake it was time for Blackberry Smoke to take the stage. In that moment, as the excitement built and the energy was contagious, the house lights turned down. The crowd began to scream with uncontainable excitement. Shadows of the members of the band appeared and took their places. BBS has an undeniable all-star line-up. Charlie Starr and his soulful voice light up the stage, at times trading gritty and punchy guitar riffs with Paul Jackson. The brothers Richard Turner and Brit Turner are the epitome of cool as they keep the groove on bass and drums like a well-oiled and collected team. 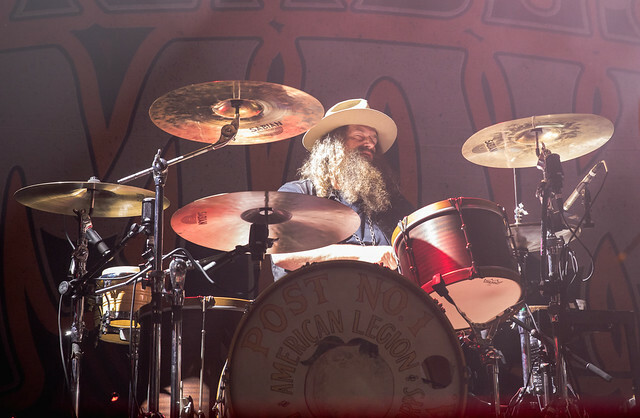 On keyboards, Brandon Still adds a unique flavor and vibe to the music that is just as important to Blackberry Smoke’s sound as any of the other instruments. 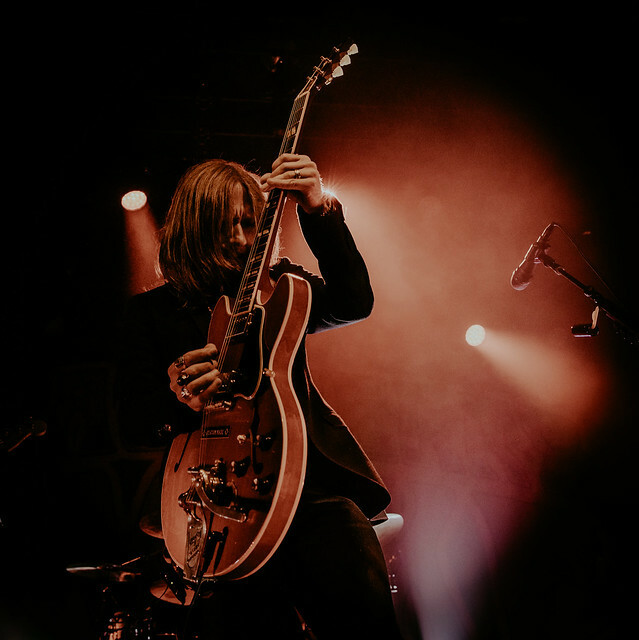 It’s Blackberry Smoke as a collective, a whole package that keeps them dangerous. Sure on their own, each band member possesses an undeniable amount of talent but together they’re the total package. The band shines through harmonies, carrying the New York crowd through a set that truly speaks to each individual’s soul in the crowded room. The Irving Plaza crowd was treated to a 20 or so song setlist, covering all ground with songs from previous albums Like An Arrow, Whippoorwill, and of course Find A Light. 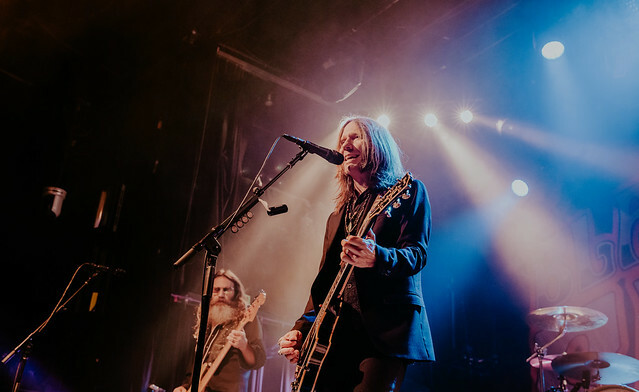 Blackberry Smoke’s set was a journey into their music career, including tracks like “Good One”, the emotional driven “The Whippoorwill”, “Up in Smoke”, and encores “Leave A Scar”, and “Ain’t Much Left”. 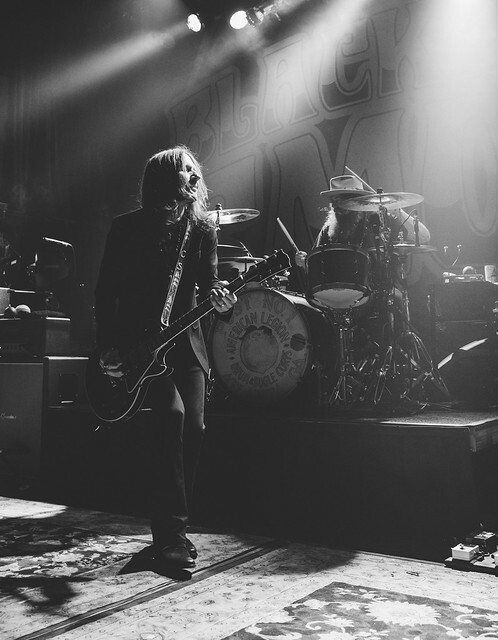 Blackberry Smoke shows are always the ultimate jam band party for both the band and the crowd. Fans both old and new are dancing, cheering, swaying and singing along with every word of each song. 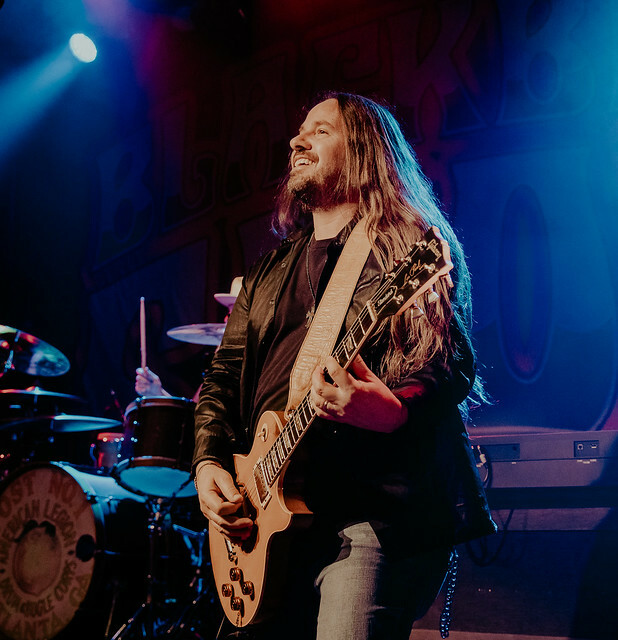 Even a city like New York, which can often seem jaded due to its nightly entertainment from some of the best artists in the world, gets taken back and humbled when Blackberry Smoke comes to town. You get swept up by the tunes, the vibes the band carries on stage throughout the entire night. The experience is addictive, hypnotizing, and pure fun from the light’s and the sound to the fans on the left and right of you during the show. I can honestly say it will be an experience not easily matched by many bands. 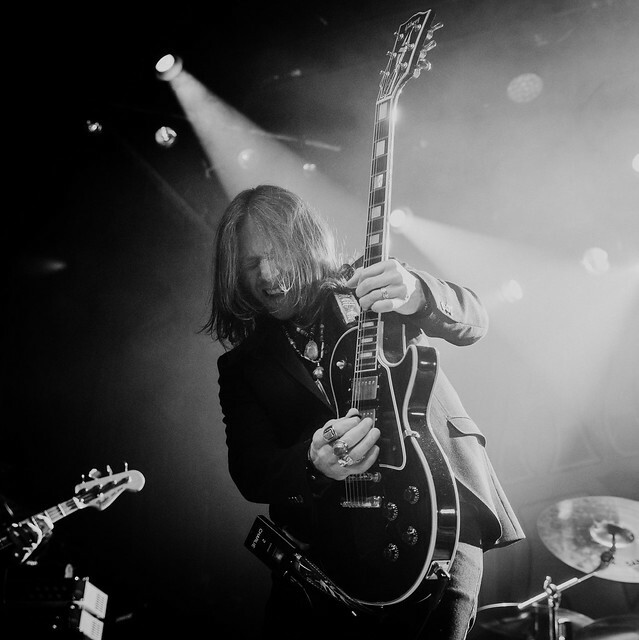 BlackBerry smoke continues to show no signs of slowing down. After the Find A Light Tour wraps up in North America on September 22nd in Louisville, KY, the band will head overseas for most of October and November. Check out the full list of tour dates and where you can buy your tickets on the band’s official website here.